¯ 5 to 6 p.m., first Tuesday of each month, at St. Luke’s Episcopal Church, 320 Second St., Marietta. ¯ 11:30 a.m. to 1 p.m., fourth Tuesday of every month, First Presbyterian Church, corner of Fourth and Wooster streets, Marietta. ¯ Daily Bread Kitchen, 11:30 a.m. to 1 p.m., every Wednesday, at St. Mary’s K of C Hall, 312 Franklin St., Marietta. ¯ 5 to 6 p.m., second Thursday of each month, at Tunnel United Methodist Church, located at Ohio 550 and Coffman Road. The December 14 meal will be a Christmas party serving ham, with carols and a gift of a fleece throw blanket; handicapped parking is available in the upper parking lot by the church entrance; to request to have a meal delivered within a five-mile radius, leave a message at 740-374-5634. ¯ Free community meal, 11:30 a.m. to 1 p.m., first Friday of each month, at Christ United Methodist Church, 301 Wooster St., Marietta; free home-cooked meal served in fellowship hall; all are welcome; no charge, donations accepted; for more information, go to www.christumcmarietta.org or call 740-373-1512. ¯ 5 to 6:30 p.m., second Friday of each month, at The First Unitarian Universalist Church, 232 Third St.; everyone welcome; fellowship hall is accessible and meals offer a variety of healthy choices; for more information, 740-373-1238. ¯ 5 to 6 p.m., third Friday of every month, at Norwood United Methodist Church, 23 Colegate Drive, Marietta. ¯ “Caring and Sharing Free Community Lunch,” 11 a.m. to 12:30 p.m., second Saturday of every month, at First Baptist Church, 301 Fourth St., Marietta, in the church dining hall; all are welcome for food and fellowship. ¯ 11 a.m. to 1 p.m., third Saturday of each month, Faith United Methodist Church, 503 Seventh St., Marietta. 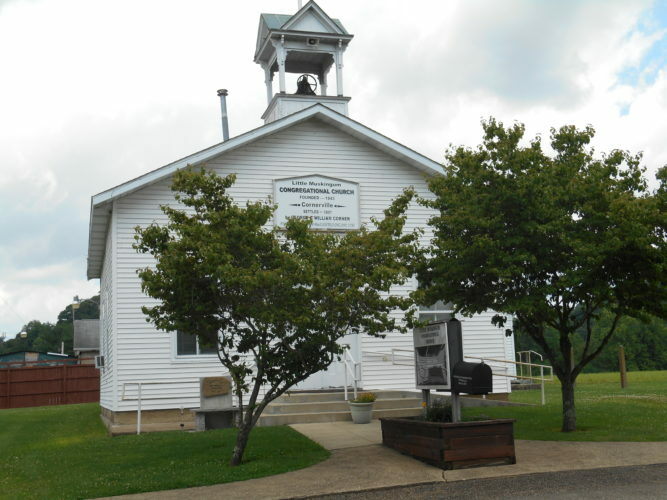 ¯ Beverly United Methodist Church community lunch, 11:30 a.m. to 1 p.m., the last Saturday of each month; church is handicapped accessible; menu is various soups, sandwiches, desserts from Lisa’s Sweet Stop and beverages; call ahead for carryout at 740-984-2100.